For "breaks" between researching and writing up my Final Major Project (more on that another time) I've been clicking through the shows on Vogue. LFW hasn't disappointed, so I thought I'd bring back my fashion week 'Snapshot' posts to share my thoughts with you. Lots of fuzzy goodness (slides! wigs! pockets!) fetching bloomers, paperchain bags and cable knit rompers come together in a wintry dream of a show. Burberry is arguably the most talked about show of the London fashion calendar, which normally puts me off. I prefer to let the clothes speak for themselves and discover up-and-coming designers during fashion week. However, this season I fell for the easy daywear - sweaters layered over shirts, denim jackets, trousers - and the voluminous shoulders of the evening wear. Oriental influences, embellishment, asymmetry and a certain red vinyl coat... Special shout out to my friend Sofi who contributed to the making of this collection! Bralets, dropped waists and shaggy fur, all in a minimal colour palette of black, khaki and orange. Those knee high lace-up boots have gone straight to the top of my wish list. Emilio de la Morena will always have a special place in my heart after my friends and I managed to blag our way into his A/W 15 show. Love the focus on sleeves, the feather skirts and of course this cracker of a coat. I've never caught sight of this designer before, but I'm obsessing over the floral embroidery on sheer fabrics, gorgeous colour palette and drawstring bags on belts. 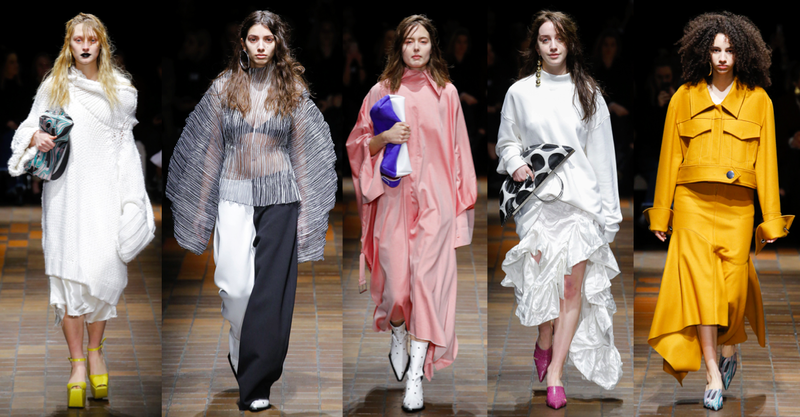 Marques'Almeida is always one of my favourite shows (I picked their S/S 16 show to present to my course in 2nd year) and this season didn't disappoint! I adore the slouchy oversized shapes, pastel colour palette, gothic lips and statement earrings. What a surprise, Aya has picked another collection featuring faux fur! But seriously, the furry sleeves on the check jacket is genius. 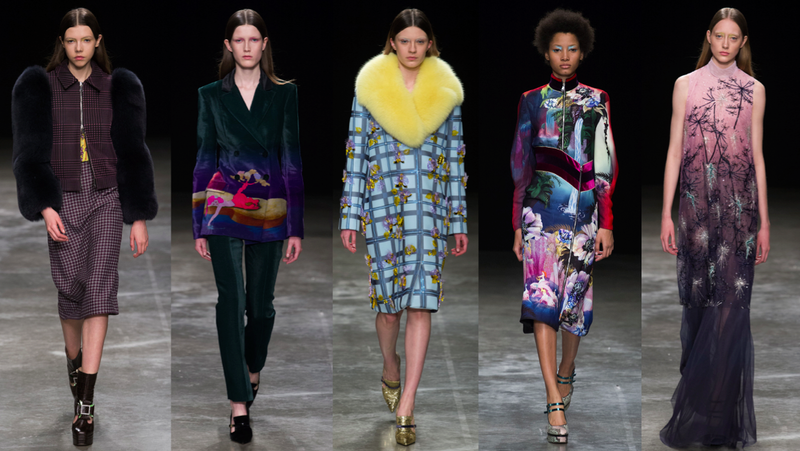 I also adore Katrantzhou's velvet suits, digital prints (as always) and the whimsical embellished dresses that closed the show. 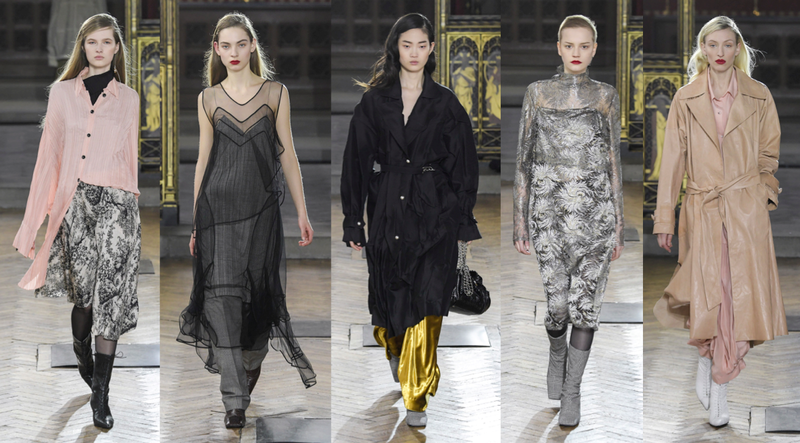 I love the mix of languid shapes and tailored pieces in this collection. The focus is on the upper body, through exposed collarbones and emphasised shoulders. 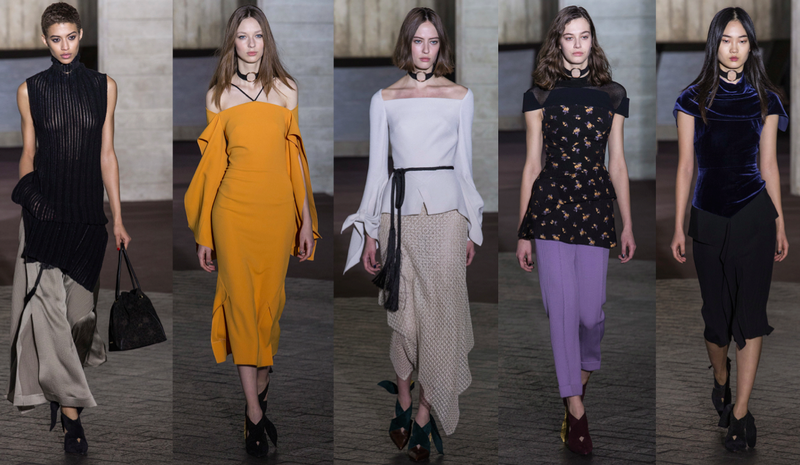 I also really want one of those chokers, which Mouret proves work with any look. I love the floaty femininity of this collection (blouses, slip dresses, metallic jacquards) mixed with more masculine elements (the trench coat, suiting fabrics). The whole vibe is very modern and wearable, but still retains an element of distinctiveness. Is that more fluffy slides? 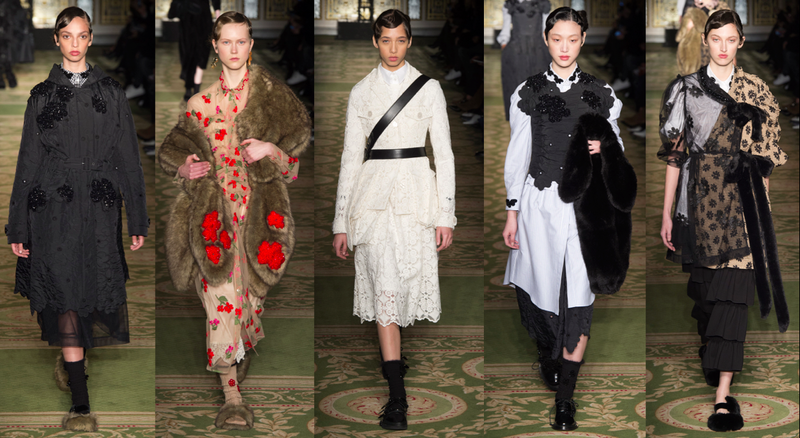 *I spot a micro trend* I love the floral embellishments, the army-style belt and the mix of fabrics in Simone Rocha's collection. A special mention to that amaaazing stole... I need some fur drama in my life! Thank you if you've stuck around 'til the end of this post, I always get carried away with the number of shows that I need to include in my 'highlights'. 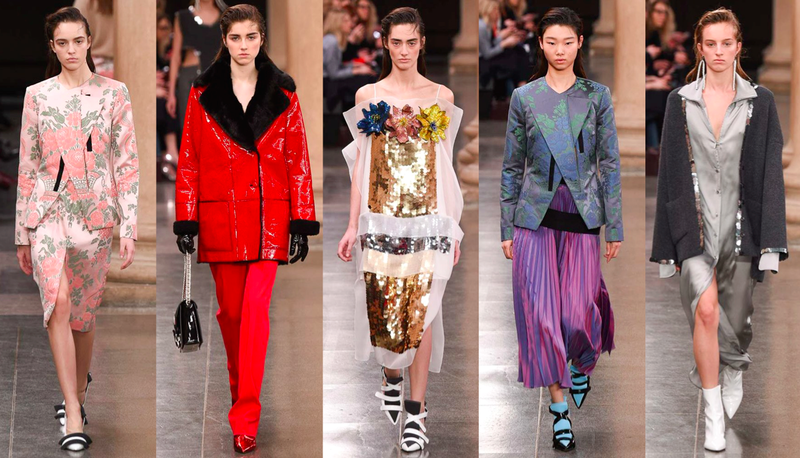 I hope you enjoyed it, and let me know which were your favourite shows from London Fashion Week down below!